Speaker Parubiy says the budget will be voted on Thursday. 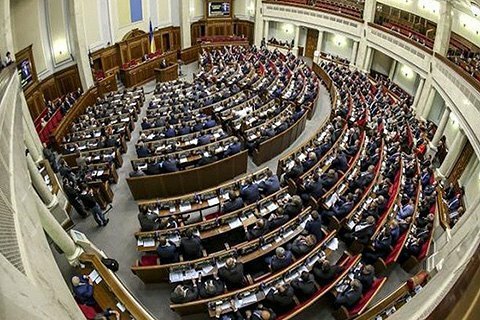 The majority of the Verkhovna Rada deputies are ready to support the adoption of the government 2018 budget in the second reading on December 7, a source in the budget committee told Interfax-Ukraine. The draft state budget is ready the second reading and has the preliminary support of a sufficient number of deputies. "The document takes into account the proposals to increase funding for the most important projects, including socially-oriented, related to energy efficiency, and the proposals of local governments. The majority and other associations, including the Radical Party, the Will of the people, and Renaissance, and a part of Self-Help stated in support of the ideas of regional governments", said the source. Prime Minister Volodymyr Groysman instructed Minister Oleksandr Sayenko to support the bill in parliament. Parubiy told the conciliation board on Monday that the budget bill is planned to be discussed on 7 December and expressed the hope that the bill would be voted during working hours rather that at four or five in the morning as in previous few years. The Rada passed the first reading of 2018 national budget on 14 November. The Cabinet approved the bill for the second reading on 1 December.